The patio was nice to sit on. 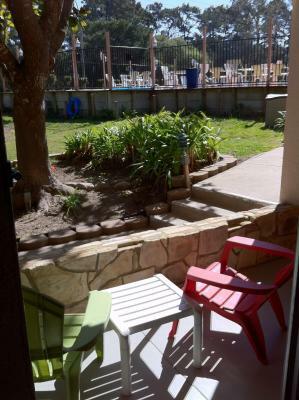 All rooms have views of either the garden or the pool and it's in a great location. The show was amazing. Good water pressure and the water was hot. Desk staff friendly, professional and accomodating as always. There are several places along Munras Ave where I've stayed. The helpfulness of staff here (plus the good rates) are the reasons I choose this Inn. Carpet needs steam cleaning . Facilities need updating there are tacky holes or looks like that work didn’t get completed. Electric plugs - extension cord screwed on d wall improperly, do not look professional at all very tacky. Room very dark no proper lighting. Light switch in the bathroom installed on wrong side. I don’t know. Property would be very nice if upgraded & fixed properly. Remove carpet & replace w/new or none at all. I really like the Location of the hotel. The beds were comfortable. Nothing . No breakfast, they had orange juice only in the morning . The hotel was conveniently located, and the desk person was very nice. The room was very small and had most of the necessary amenities, but it looked a bit "tired." 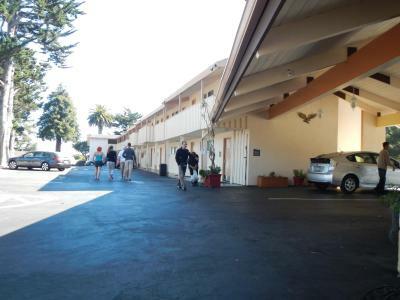 Americas Best Value Presidents Inn Monterey This rating is a reflection of how the property compares to the industry standard when it comes to price, facilities and services available. It's based on a self-evaluation by the property. Use this rating to help choose your stay! 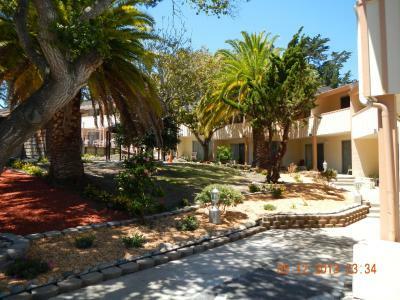 One of our top picks in Monterey.Located 1 mi from the beach in Monterey, California, Americas Best Value Presidents Inn Monterey is 100% nonsmoking and features a spacious seasonal outdoor pool and hot tub. Free parking is available onsite. 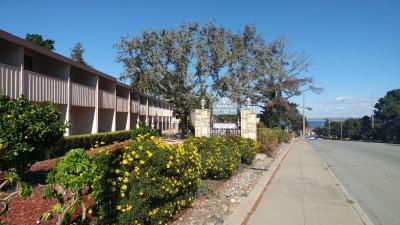 Guest rooms include a microwave, a refrigerator and a coffee machine, as well as a fan and a TV with satellite channels. 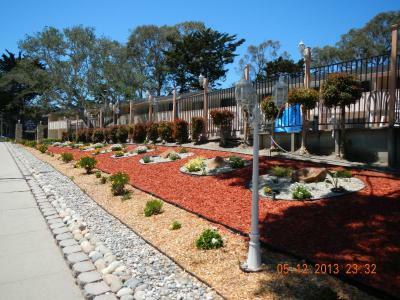 Fisherman’s Wharf is less than 2 mi from the Americas Best Value Presidents Inn Monterey and the Monterey Bay Aquarium is 3 mi from the property. 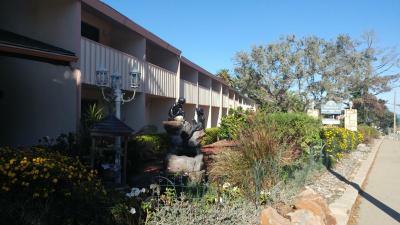 Many restaurants, shopping and entertainment options are within walking distance of the hotel. 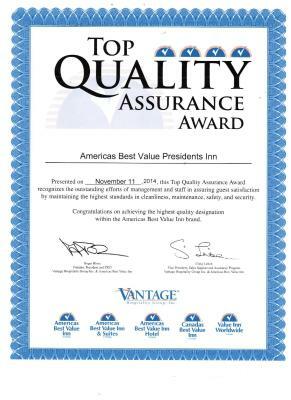 When would you like to stay at Americas Best Value Presidents Inn Monterey? A satellite TV is provided in this room. A fan, a small fridge, a microwave, tea and coffee-making facilities, ironing facilities, a hairdryer and free toiletries are also included. 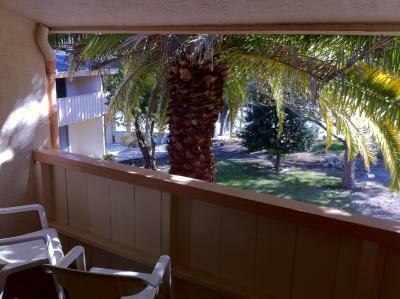 Offering either a balcony or a view of the surrounding property, this room includes a satellite TV. 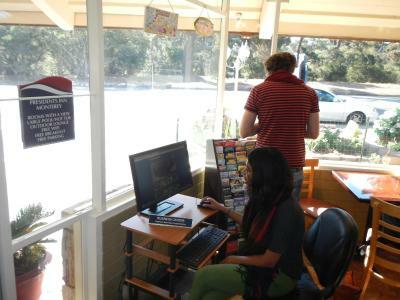 A fan, a small fridge, a microwave and tea and coffee-making facilities are also included. Ironing facilities, a hairdryer and free toiletries are provided. Please note that the price is based on 2 guests. Maximum occupancy is 4 (see Hotel Policies). Extra person fee is applicable. 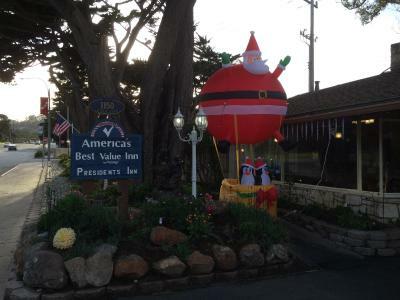 House Rules Americas Best Value Presidents Inn Monterey takes special requests – add in the next step! 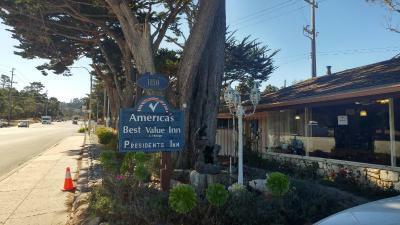 Americas Best Value Presidents Inn Monterey accepts these cards and reserves the right to temporarily hold an amount prior to arrival. There are no elevators or air-conditioning at the property. In case of a no show, the total amount of the reservation will be charged. Credit / Debit card holder is required to be present at the time of check-in. If not available, provide credit card authorization prior to arrival. If guests cannot present a valid credit card, then a cash deposit of $150.00 is required to formally check into the room. Group reservations for more than 4 rooms will have group cancelation and deposit policies. All reservation for 4 or more rooms will be pre-paid, nonrefundable reservations. Guests must be 19 years or older to check in. All rates displayed are for double occupancy only. A seasonal outdoor pool and spa is open from May to September. 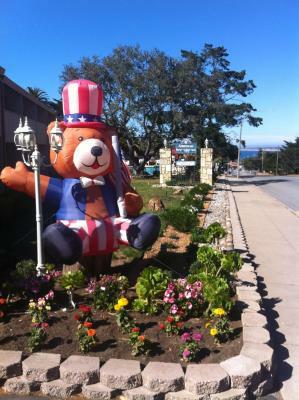 Please inform Americas Best Value Presidents Inn Monterey of your expected arrival time in advance. You can use the Special Requests box when booking, or contact the property directly using the contact details in your confirmation. Different pillows. I bring my own to support my arms and legs. Older people need more supportive pillows, especially in rooms that have no comfortable chairs. Not sure how secure the wifi is, but that's true everywhere. No off-season breakfast, but lots of nearby restaurants and cafes. Great location. Walking distance to old downtown, if you still walk. Very quiet and peaceful neighborhood. Big Del Monte shopping center close by. Heater without blower. Dark room. Beds were too hard for my back and pillows as well. Good location, I liked the microwave and fridge in the room which is convenient. Good value. The hotel advertised it has a spa but the water in the spa was like a Luke warm bath not hot at all. Walls can be a bit thin if you are next to noisy or insomniac guests. I bring my earplugs. Provide all the facilities needed for a night. Wasn’t a big fan of the restroom, just felt it could’ve been cleaner, and their wasn’t AC on a floor fan. pulled out extra pillow from drawer, put it on the bed and spotted live cockroach on it. Noise from the street and upstairs.